Any collaborative effort to address Snake River salmon recovery will require truth and trust. The Statesman's Dec. 12 op-ed by Northwest River Partners Executive Director Terry Flores guts the truth and destroys trust. The lower SR dams provide approximately 5 percent of the region's annual electricity needs, mostly generated during spring run-off when the region has little or no need for this power. When power demand is high, these dams provide about 2 percent of the region's electricity. Snake River barge traffic does not keep 700,000 trucks off our highways. Flores cites the movement of "millions of tons of products through the Port of Lewiston." In 2011, the POL shipped approximately 610,000 tons, which could have been transported by 21,000 trucks. However, if not barged, most of this freight would have traveled by rail. 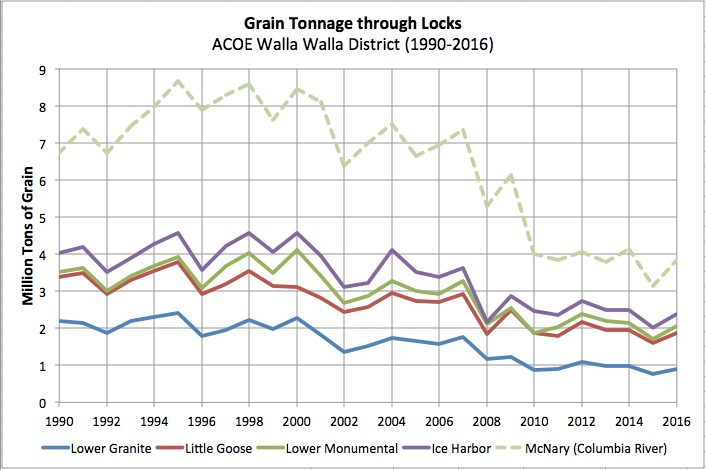 Barge transport from POL has declined precipitously for the past 11 years, today hauling less than 25 percent of the freight the port handled in 2000. Flores claims that the Snake River dams provide vital irrigation to farmers in Idaho. These dams provide no irrigation to Idaho farmers. The truth: The enormous taxpayer costs of maintaining Snake River locks and dams far outweigh their benefits.